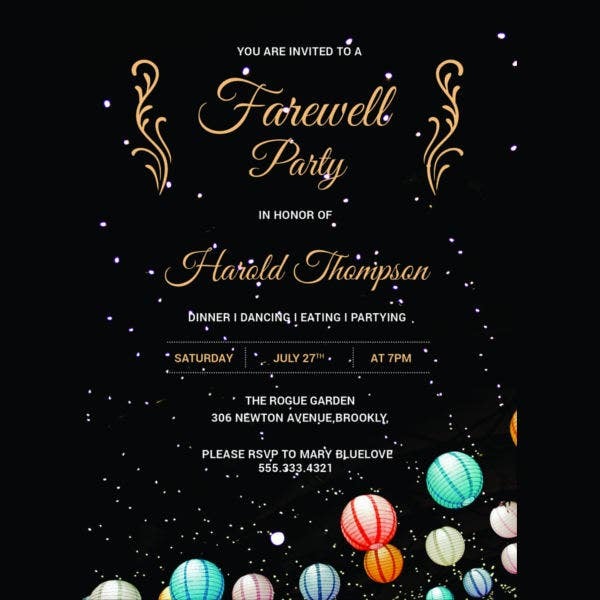 Are you bidding adieu today to one of your professors in the college and are worrying about the farewell card template as the hours are winding down? 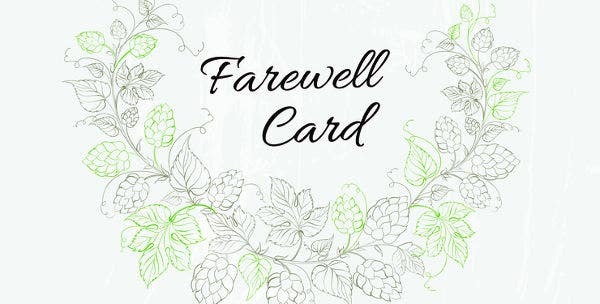 Then use the below farewell card templates. Each of your can even give your handprint to say goodbye. The three pillars of these templates are likability, trustworthiness, and quality. You will never leave these without being enchanted. End with a fond farewell. They will just reach your heart. 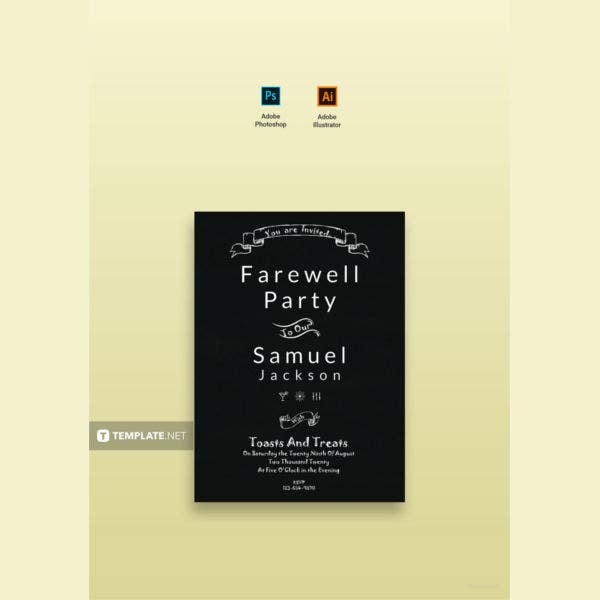 This Farewell Party Invitation is a layered PSD that sizes 6.25×4 with a high resolution of 300 dpi. The CMYK color code makes it print-ready. All the fonts included are free. This card template helps you to give a grand farewell to your nearer and dearer and fill their hearts with joy especially while they are moving out of the city. You can customize the image with that of yours. Though farewell is in fact just a goodbye, for many the moments are heavy and heartbroken ones. You may not be able to sing a farewell song for them. But give this farewell card. It consoles both from bereavement. Are you having a great and deep bonding with the person who is going to retire today? Do not hesitate to take inspiration from this model. This small text of goodbye may relieve you from pain. No matter the distance, we can thank the new technologies through which you can gain the inspiration to write farewell cards and send the farewell cards. The moment may not come time and again, but you can make it eternal with one farewell card. However, if a person passes away, all you can do is just recommend him/her to god. What a beautiful it is? 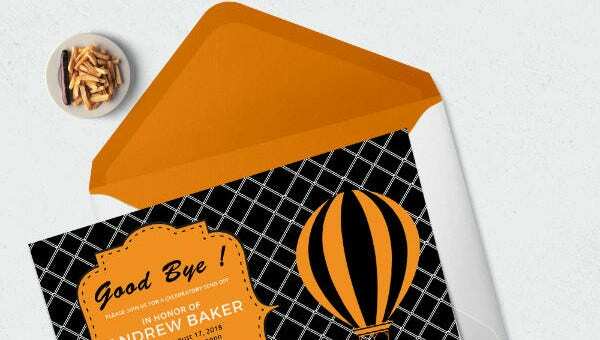 Above are some farewell card templates that suits for every occasion. 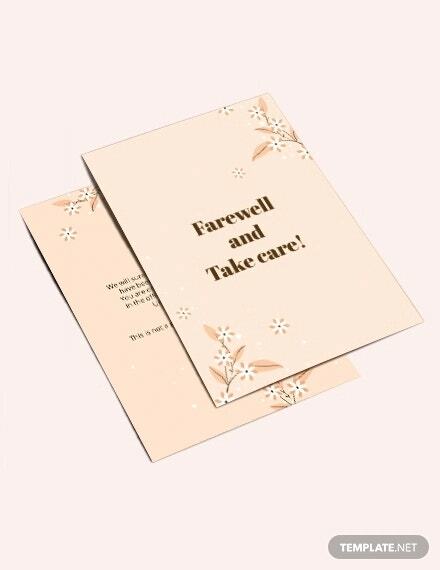 If an employee is leaving the company, your farewell cards give a meaning to his/her long service. Such is the power of a farewell card. You know how hard it is to say goodbye to those who really matter to us. If you discovered the importance of a farewell, the above templates help you greatly. When a relationship comes to an end and you never know which way to turn, control yourself from strong emotions that cloud the mind and the heart and deliver this farewell card. While many others prefer to say Goodbye very few try to leave behind a report ended by saying goodbye to those who supported them. The above ones are for those few.